At the end of May, having rebuilt the front axle to get the earlier diff in, I also fitted a steering damper. A little winch I had lying around was fitted, I made the bracket myself to save on cost, and also as the Jimny has a 2" bodylift off-the-shelf ones wouldn't have fitted. Last edit: 22 Aug 2017 10:18 by S200KYS. 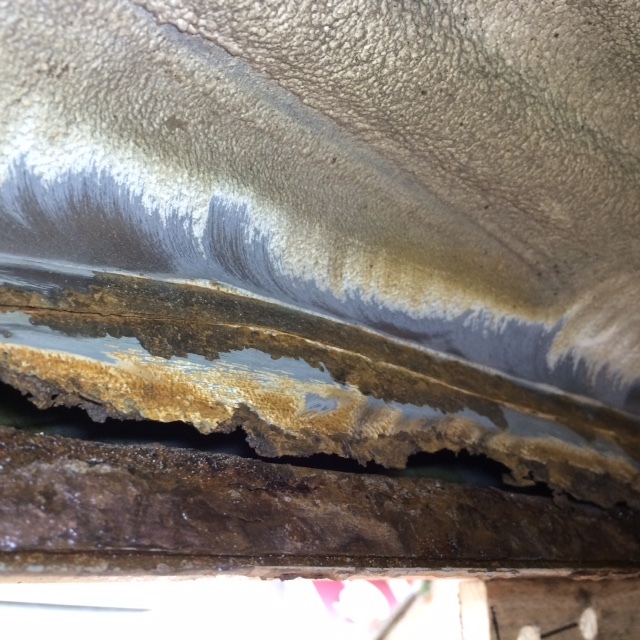 So that needed a large patch seam welded into place... Sorted! 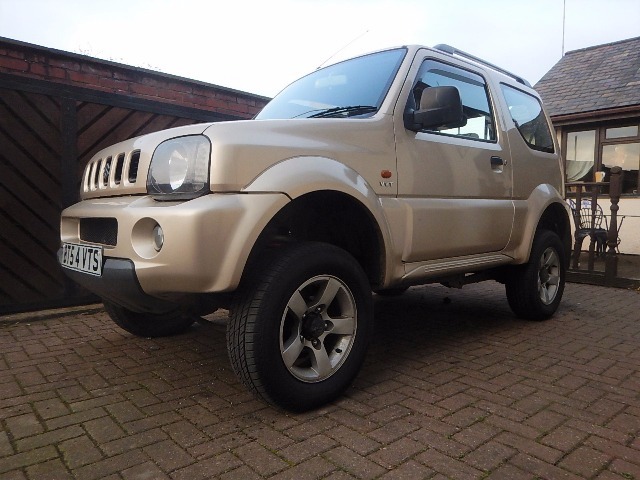 So, the gold / beige Jimny is nearly complete... not that they ever are? Last edit: 22 Aug 2017 12:16 by S200KYS. How are you finding the roof rack for wind noise? 11/60 wrote: How are you finding the roof rack for wind noise? You wouldn't know it was there? Just been to the KFC and back with the windows down and you can hardly hear it! Not sure if it's down to the design? That perforated panel at the front? The chequer plate was an optional extra over the round tubes going side to side like a traditional roofrack... whether that has all-but stopped wind noise too? That's handy - you can see on my blue one behind that I had to rivet that ally chequer plate between the two front bars of the tree bars / roof protectors as it whistled like buggery! Last edit: 22 Aug 2017 13:16 by S200KYS. Nice build! Where did you buy the rack? 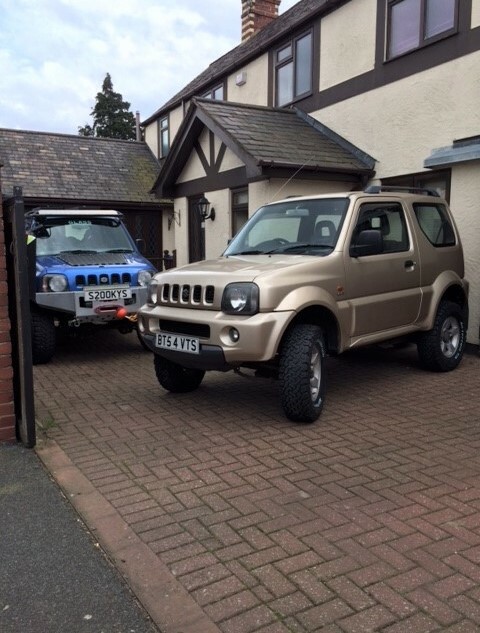 They do a couple of sizes and with optional extras (my light bar protection bar and the chequer plate were options) You can even get it with a little winch at the back if you're a hunter and want to get your quarry into the back of the Jimny... Nice?! Last edit: 22 Aug 2017 19:47 by S200KYS. Worked out the shape the base would have to be to fit in and clear all the obstacles in the boot floor! Test fit in the boot - after adjusting the metal work slightly to avoid the bulbous rear door card! Test fitting the floor "folded out"
Bit more drilling, lick of paint, final assembly, and then a rubber matting on the top... so more soon, can't do Sunday though as we're out greenlaning! Last edit: 14 Sep 2017 10:08 by S200KYS. Reason: Spooling Mistacks! Trucks looking good mate look forward to watching the progress also can I ask if you still have the vvt diffs? And if so would you sell them? Hi Dave, You don't hang out about when it comes to modifying. If you fancy selling the rear headrests I'd be interested. Jim. You can make the seats fold flat in a vvt... just pull the seat base up and stuff it behind the front seats, the backs then fold flat, albeit with a small step. anyway. Nice job... except the hinges! you need this sort and put them in the gap between the panels, much neater and spread the weight much more evenly..